Podium training is available on demand, Monday - Friday (holidays excluded), and can be arranged anytime between 6 p.m. and 9:30 p.m. Sessions typically run about 30 minutes. To arrange your training, send email or call the contact noted below for youir campus. Indicate the preferred date and time you would like to attend. 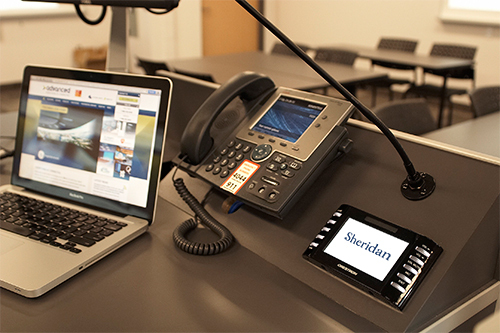 It would also be helpful if you note the classroom(s) you're teaching in so that we can train you using the appropriate podium equipment—there a few different configurations throughout the college.